RasterWeb! 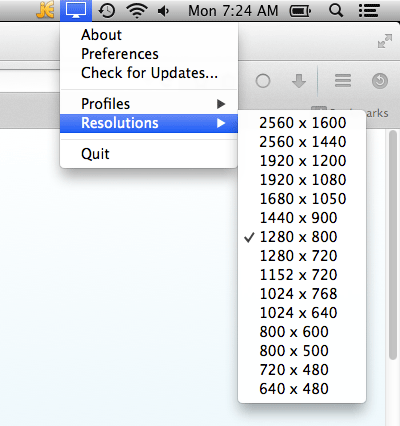 You say you want some resolution? You say you want some resolution? I’m thankful for my recent discovery of QuickRes. So when I connected my new MacBook to my old projector, I got nothing. Nothing! 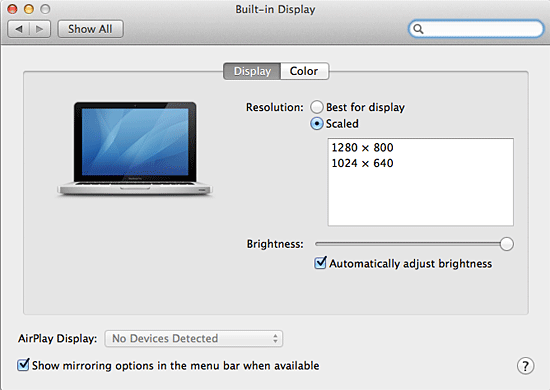 The old projector maxes out at 1024×768, and this fancy new MacBook only had two resolutions. What? Wow, so many choices! 1280×800 and 1024×640. Why would you ever need more than two resolutions!? So just to test the MacBook I grabbed a Mini DisplayPort to HDMI dongle and plugged it into the nearest television. I saw what appeared to be 1920×1080 not just on the television but also on the built-in display. What? 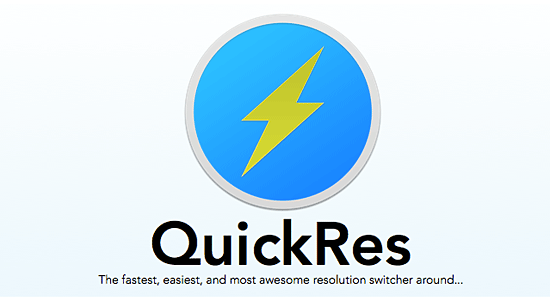 So after installing QuickRes, here’s a look at the resolutions that are now available. Sweet! I’ve been using the higher resolutions for certain tasks, and the lower ones for things like old projectors. So the real question is, why does Apple not want to make these available without a third-party hack to reveal them? Posted on Monday, December 15th, 2014 at 8:53 am. Subscribe to the comments feed. Both comments and pings are currently closed. Post on your own blog.